Views - Can Charting Beat The Market? We have often beaten the drum for fundamental analysis, the use of company financial information and rigorous analytical methods by equity market investors. However, as many of you will know, there is a more controversial approach to stock market analysis out there. It is called technical analysis, or charting, and it attempts to predict the direction of future share price movements. It is based on two major types of information: historical price and volume behaviour, and investor sentiment. Technical analysis techniques have been around for over a hundred years. There are many different charting techniques available, and hundreds of books have been devoted to the subject. Although we will focus on charting in the stock market, it is also widely used in commodity markets. Fundamental analysts and academics are highly critical of technical analysis, as it flies in the face of accepted finance theory, such as the "random walk" theory of share price movements (part of the efficient markets hypothesis). However, it is a reality than many professional investors not only use technical analysis and charting, but swear by its effectiveness. A number of academic studies have investigated the possibility of making excess returns using charting methods. In 2004 Park and Irwin showed that of 92 studies carried out between 1984 and 2004, 58 report that charting methods consistently generated excess profits. However, there has also been criticism of these studies, with claims that they were methodologically flawed. In a 2009 study that we will look at in more detail, Roscoe and Howorth (R&H) conducted a study of certain non-professional UK investors who employed technical analysis methods, with a view to establishing their methods of operation and their success rates. Prior research had found that there were four different types of chartists; the first type were those who saw ’trading as a system’, i.e. who tried to remove all human judgement from their trading activity by leaving all decisions to a computerised system. The second group, ’trading as an art’, comprised those who rejected the mindless use of software programmes in favour of their own judgement, often based on their visual assessment of chart movements. In the third category participants considered charting to be a game of skill, where they could attempt to outwit others who were shown to be at work in the market through share price movements. The fourth and final category saw charting as a voyage of discovery, and was constantly working at improving their methods in search of better ways of predicting the market. 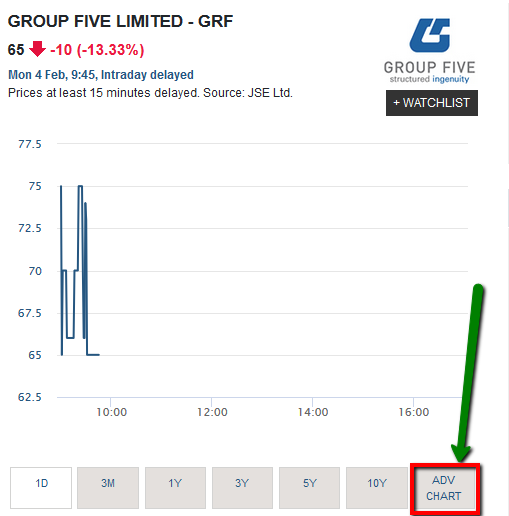 These four categories are linked by a common theme of using charting as a means of ’seeing’ the market, and thereby predicting future share price movements. R&H conducted detailed interviews with 12 chartists. Their analysis revealed some evidence of each of the above four ideal types of trading among their interviewees: i.e. as a ’scientific’ system; as an art based on judgement and intuition; as a game of skill; and as a voyage of exploration. However, the first two types were of particular importance, with elements of the third and fourth styles being distributed among chartists in both the first and second categories. R&H’s analysis identified a further distinction between the charting styles of interviewees, related to the individuals’ understanding of stock market ontology, i.e. the nature of the market. While some investors believe that the market is chaotic and disordered, others believe that while superficially chaotic, the market is organised along certain predictable principles, often related to patterns or cycles of numbers. These differences in the view of the market influenced investors’ calculative techniques.� The first group believed only in the persistence of trends (share price momentum), and were referred to as ’trend-seekers’. These trend-seekers hunt for stocks where the price is moving steadily in a particular direction, or ‘trending’, and buy or sell short accordingly.� The trend, identified in a variety of ways, is followed until it runs out of momentum. Trend-seekers make no assumption about the underlying nature of the market, beyond the observation that trends tend to have some persistence. As Simon, one trend seeker, said: ‘There’s no way you can predict share prices, so all I try to do is latch on to price movements’. The second group are termed ’pattern-seekers’. These pattern-seekers believe that it is possible to predict share price movements and changes in price direction.� Number series, such as Fibonacci, are used to describe shapes (in graphed share price data) which can be searched for in the market either visually or using an automated system. The pattern will determine not only the change in price direction but also the amount that it can be expected to run in that direction. �This method involves the ontological assumption that there is some order hidden behind the chaotic appearance of the market, and that these series of numbers have some kind of determining power over the actions of market actors. This belief, clearly articulated by investors, links market movement to numbers and common ratios which (very surprisingly) are found for instance in tides, waves, pine cones, and the human body. As Terry, one of R&H’s interviewees explained: "Fibonacci ratios exist everywhere, they exist in art, they exist in the human body. If you measure the distance from your shoulder to your ankles, and then you measure the distance of your arm you’ll see that that is a Fibonacci ratio, I think it’s about 1.618, or .618, or your arm is a ratio of your body.� When something looks aesthetically pleasing to us, very often we will find that Fibonacci ratios exist in the relationships between objects in a painting, let’s say." (Fibonacci ratios are related to the "golden ratio." Their occurrence in the natural world and in art, music and mathematics makes fascinating reading, and is worth a Google). All the same, he does not buy without performing his own checks, watching the recommended shares on a simple end of day charting programme.� At this point ‘if the graph is going like the north face of the Eiger (i.e. almost vertically upwards) I may well buy, and I’ll hold those until they drop.� I only buy shares when they’re going up’ (Albert). Accessibility and ease of use is taken to an extreme by ‘black box’ programs which automatically process data through a pre-programmed algorithm and generate investment recommendations, which can be transmitted directly to a broker.� However, none of the interviewees used this kind of software.� R&H suspect that even among the Black-Boxing chartists, those who are prepared to place their investment decisions entirely in the hands of an automated system are relatively rare. "The first thing that I actually looked at was a breakout system... you’d buy a stock when it went through the 20 day moving average and keep moving the stop loss up, and sell it when it went through the 50 day moving average, and the idea is to capture the sort of wave movement." While this method proved unsatisfactory because small-scale fluctuations in stock prices kept triggering the stop-loss, it served as a basis for Simon to start developing more complex methods. Building new and testing techniques, usually through a combination of existing methods, is a crucial part of this group’s charting activity. A particularly important tool for this process is ’back-testing’. This process involves the chartist running a retrospective simulation with historical price data to ascertain whether a particular combination of indicators would have identified a sufficient number of trends. The process is usually computerised and back-testing functionality is an important part of more complex charting software. Robert, discussing his most recent experiment, gave an example of this process: "I can look for shares on the weekly chart where the 14 day RSI is crossing over 50 and the slope of the 40 week exponential moving average is greater than a certain value, and the slope of the 10-week moving average is greater than another value, or certain other conditions, and so on... I can make it [the software package] automatically put little buy and sell signals on the charts, then I can go and look at those charts and say to myself would those have been good buy or sell signals, and if they’re not quite right I can adjust them slightly..."
These systems need not deliver a successful result in every instance. Chartists will accept surprisingly low probabilities of success in their simulations; Robert, for example, was aiming at a success rate of just over 50%. This is acceptable because of the integral role that the stop loss (an order placed at the brokerage to automatically exit a position should the share price move by a certain amount against the trade) plays in the strategies of these chartists. Chartists view the stop loss as a means of increasing the probability of success across their trades; by setting the stop loss relatively tightly they improve their probability of success. Against this, many chartists argue that stop-losses can be automatically triggered by minor moves in the market causing positions to be exited at a loss when, had they been held longer, they would have resulted in a profit. Simon encountered this in his early methods and confessed that it had presented a serious problem. He ascribes the phenomenon to market volatility. Other interviewees (Tony, Chris, and Mickey) argued that stop-losses are manipulated by those professional players with the power to move prices, who force the market down in order to trigger automatic sales and buy up stock cheaply. In summary, the Number-Crunching chartists make creative use of their resources to try and develop ever more accurate means of spotting price trends in the market. In this category, and indeed in the case of Black-Boxing, the charts are heuristic devices (rules of thumb, or short-cuts), providing a way of seeing the market and of managing market dynamics. The charts provide a means of searching through an inaccessibly large universe of stocks, so that a final, often visual interpretation can be made. As Tony said: "The charts will tell me what I need to know, and if it looks interesting, either because it’s going up or going down, whether it’s worth investigating further." In Number-Crunching and Black-Boxing calculative strategies charts are therefore devices for managing market chaos, seeking out and visualising investment opportunities, and reinforcing the calculative skills of their users. So, how did R&H’s interviewees fare in their attempts to beat the market? As it turned out, five out of the twelve chartists produced returns above the market average, while four managed to match the market performance. Only three interviewees achieved below-average returns. R&H cautioned that these results were obtained during a prolonged bull market, and that some of the results might be a bit subjective. They also felt that in some cases the returns obtained might have been due to the interpretative skills of the individual chartist, rather than the charting method itself. The enchanting possibility does remain, however, that charting can be a useful and potentially profitable aid to other methods of market analysis.� While this brief article can give no more than a flavour of the art of charting and technical analysis, those interested might want to delve deeper into the subject. Be warned though: R&H warn that they did not interview, meet, or hear of anyone who was an ex-chartist! Roscoe, P. and Howorth, C. "Identification through technical analysis: A study of charting and UK non-professional investors.”� Accounting, Organizations and Society 34 (2009), pages 206 - 221.